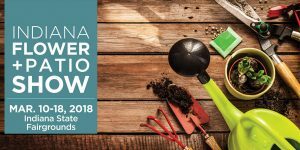 Otto’s Streetscape Solutions will be an exhibitor at the 2018 Indiana Flower & Patio Show from March 10th-18th! Visit us in the West Pavilion at booth# 306 & 306a where our mailbox and streetscape products will be on display. As an added bonus, all orders placed at the show will receive a 10% discount on materials. Be sure to stop by and say “Hello!” to Hilary, Raychel or Andrea. Otto’s Streetscape Solution’s custom manufacturing, product installation and maintenance services offer a turn-key solution for each customer. From mailboxes and graphics to street signs and lights, Otto's is your solution.